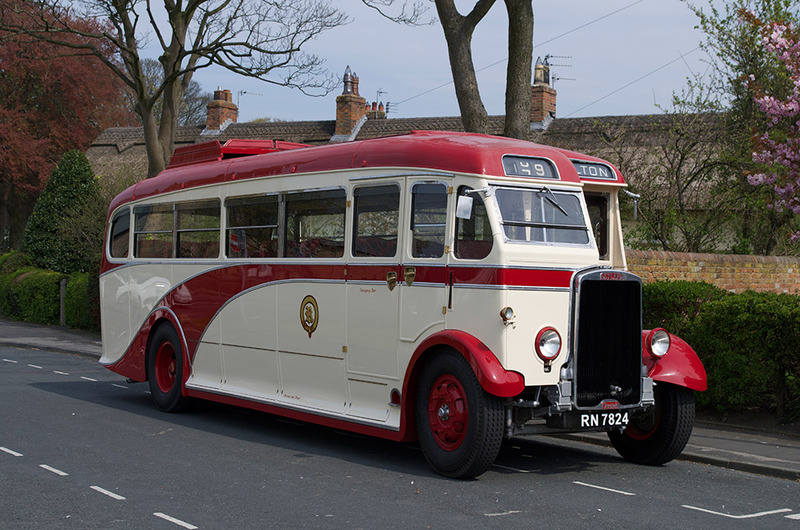 The 1930s saw a major expansion of Ribble’s coach services with many of the longer routes operated by Leyland Tigers. However, Ribble also bought a large number of the lightweight Cheetah chassis, many bodied as buses but some as coaches. The coaches tended to be used on shorter express workings, day trips and private hires. All had petrol engines which was becoming an unusual choice by the late 1930s. 1568 was from the first batch delivered in 1936 and it remained with Ribble until 1952 by which time it had been renumbered 1180. It appears to have been fitted with a diesel engine after the war but then had the petrol refitted prior to sale. It was bought by a Preston building contractor, Croft and Sons, who did a lot of work for Ribble. They kept it until 1961. It was bought for preservation by David Ellor of Blackpool and later by Tom Hollis of Queensferry. Later it became part of the RVPG collection based in East Lancashire. Restoration work began but when the local group dissolved 1568 went into the Manchester Museum of Transport. In 2008 the Museum decided to offer the Cheetah for disposal and it was acquired by the Trust. Private sponsorship allowed it to go to Cobus at Bridlington in 2012 for thorough restoration which was completed in mid-2013. It is now fully operational and has attended a number of rallies.